Mateusz Moolhuizen has been doing work over at his table. Moolhuizen has been building quite the stack and has now joined the top of the chip counts. Moolhuizen’s latest victory was achieved after raising from the cutoff to 3,400. Big blind Poul Andersen called and they saw the :::2h:::4d:::4h flop appear. 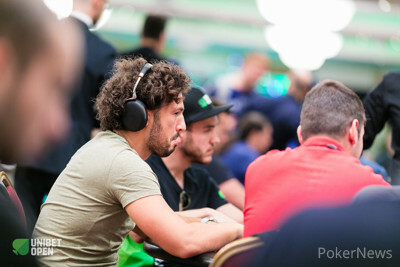 Moolhuizen continued with a bet of 3,000 after Andersen had checked to him and that was enough to take down the pot.